Acidity in coffee doesn’t refer to the PH level, but is one of the basic taste characteristics along with body, aroma, sweetness, bitterness and aftertaste. Too little acidity can result in a flat or dull coffee. There are some repercussions for people who have a delicate digestive system, in which high-grade coffee can cause acid reflux or otherwise upset the stomach due to increased concentrations of healthy organic acids. While those with normal digestive systems can handle the wonderful acids (that are beneficial to your health), there is a market for low-acid coffees. Is espresso less acidic than coffee? What is Coffee’s pH Level? Coffees grown at low altitudes have a tendency to develop less acids during the growing process, and are therefore the least acidic coffees. Dry (also known as “Natural”) processing also tends to result in a lower acid coffee. The tradeoff here is that the coffee will have less of a “kick”. Coffees with low acidity are generally looked down upon by coffee snobs, but since coffee is a personal experience, only your own opinion should matter. Acidity is generally considered a positive for coffee, providing brightness to the flavor and enhancing other qualities. The organic acids in coffee contain powerful anti-oxidant properties that contribute some of the health benefits to coffee, but there’s a trade-off for some people. Aside from selecting a low-acid coffee based on origin (and there are variations even within a country), the roast can play a part in lowering the acidity of the coffee. Typically derived from organic acids within the coffee, roasting longer will burn off more of the acids, removing them from the beans and therefore the drink once brewed. A darker roast will generally have lower acidity than lighter roasts, as the organic acids are burnt off during the roasting process. The two primary organic chemicals in coffee that are associated with upset stomachs are N-alkanoly-5-hydroxytryptamides and catechols. On the other hand, some compounds such as N-methylpyridinium (NMP) have been shown to help settle stomachs – it’s NMPs that have been found at higher levels in darker roasts than lighter roasts. Cold brew coffee tends to do very well for those who are sensitive to coffee, due to a lower extraction temperature of the coffee grounds over the course of many hours. Higher temperatures are required to extract some of the acidic compounds found in coffee, and these higher temperatures aren’t found when cold brewing. Broadly speaking, a darker roast also works best for cold brew, which further reduces the acidity. Finally, adding milk or a milk substitute will help make the drink more palatable to your stomach. The process used to extract caffeine also pulls out many of the other compounds that naturally occur in green coffees. Regardless of how they’re decaffeinated – swiss water, CO2, other solvents – they lose more than just caffeine, which reduces the levels of other acids. While any decaf method will pull out some of the “healthy” compounds, none of them will make coffee unhealthy. A common misconception is that solvents are less healthy than CO2 or swiss water, but they are burnt off at a much lower temperature than coffee is roasted at, leaving no trace of any compounds in the final roasted coffee. Similarly, chicory is sometimes blended into a coffee to reduce the overall acidity, making it more tolerable for those with an acidity sensitivity. Coffee brands (such as Puroast) that advertise that they’re low-acid are simply well branded and marketed. 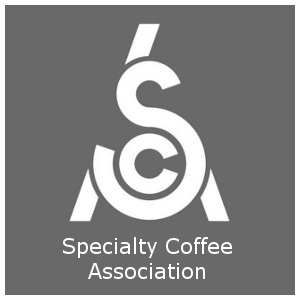 There is nothing exclusive or proprietary about their coffees. From there, you’ll ideally want to cold-brew the coffee. Products like k-cups make this impossible, but you can cold brew in a french press, which is very inexpensive as a second piece of brewing equipment. There’s a number of different things you can do to make a coffee low-acid. We’ll combine all the tips in this post – using a low acid origin, lowest acid roast, and lowest acid brewing method. These qualities are used by cuppers (professional coffee tasters) to judge coffees and compare the qualities of different coffees. The desirable quality of acidity is due to acids in the coffee combining with sugars and increasing the coffee’s overall sweetness while also adding a certain vigor to the coffee. Without acidity, a coffee will tend to taste dull and lifeless. Acidity is a desirable primary coffee flavor sensation that is perceived as a pleasing sharpness toward the front of the mouth, a numbing sensation on the tip of the tongue, or a dryness at the back of the palate and/or under the edges of the tongue; denotes the quality of a coffee. A good acidity will lean towards being sweet, crisp and tart – enhancing the other qualities in a coffee. 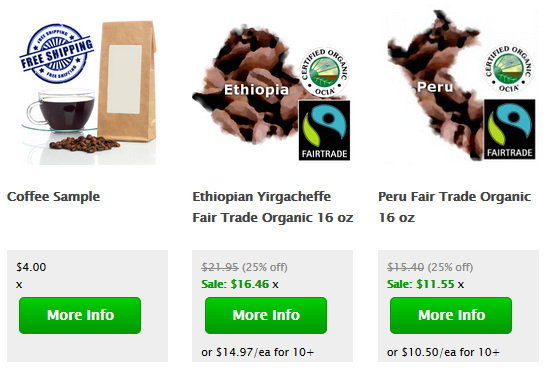 Coffees that are known for their pleasant acidity include the Kenya AA, Ethiopian Yirgacheffe, Costa Rica and Nicaragua. A bad acidity will taste sour and stringent, sometimes almost chemically. As many of the acidic qualities are imparted by the organic compounds (such as chlorogenic acid) found in coffee, lighter roasts will generally have brighter acidity than darker roasts. This is because the organic chemicals are slowly destroyed during the roasting process, with the sugars caramelizing and the sweetness muting the acidity. Acidity will generally decrease and become less prominent as a roast gets darker – a light or medium roast will have higher acidity than a dark or espresso roast. Yes. Roasting a coffee longer results in more decomposing of the healthy chlorogenic acids that give lighter roasts their acidity. This means that an espresso roast will be less acidic than a light or medium roast. The roasting process breaks down the chlorogenic acids found in coffee beans into roughly equal quantities of caffeic and quinic acids. These compounds, which are phenolic in nature, contribute to coffee’s astringency and lingering aftertaste. What people generally tend to misinterpret as acidic in espresso beans is the presence of more bitter and astringent compounds (which is different than acidic) from the roast level. A good espresso should not be burnt and bitter. Additionally, the brewing process for espresso (high temperature, high pressure) results in more thorough extraction of the bitter chemicals and compounds in the coffee. A coffee’s acidity may impart a pleasant tartness, or snap, somewhat like a dry wine, yet it should not be so acidic that it causes bitterness. Acidity is generally perceived as a positive quality in coffee. Acidity is often described as dry, sharp (e.g., a sharp radiance enhancing the flavor), vibrant, lively, moderate, or dull. A coffee’s acidity may have a subtle fruity quality which may be further specified as, for example, citrusy, lemony, or berry-like. Coffee does indeed have a pH level, but this is not a useful measure of flavor. It would vary depending on brewing method and roast level, but not significantly. Most (black) coffees have a pH around 4.5. A “low acid coffee” (Sumatra) falls around 4.7 and a “high acid coffee” (Kenya) falls around 4.3. While this may not seem like a big difference, the pH scale operates on a logarithm (4.0 is 10x more acidic than 5.0), so a 0.4 difference can actually be substantial. For comparison, apple juice lands at 3.8 (much more acidic). Acidity as a flavor descriptor does not refer to the pH level (degree of acidity) of the coffee. It also shouldn’t be confused with the character of sourness (an unpleasant, undesirable sharpness or over-fermented bitterness). This ambiguity is nothing more than a failure of the coffee industry to properly name its measures. A high acidity is described as bright while a low acid coffee may be described as smooth, but if it is too low it will be considered unexciting and boring. A total lack of acidity may also result in a “flat” coffee. Mexican coffees tend to have a bright, clear acidity, in contrast to the overwhelming acidity typically present in Yemen Mocha coffees, which may even taste distinctively winey and sweet with a winey aftertaste. Coffees grown at higher altitudes tend to have a higher acidity, due to the slower growth at those elevations, which allows the beans to develop more of their chemical compounds (chlorogenic acids) that contribute to flavor. The new trend from San Francisco is light roasting. It gives the coffee a green citric astringent note. NO carmelization, eathy tones like Trad espresso. Hopefully this sad fad will pass soon.